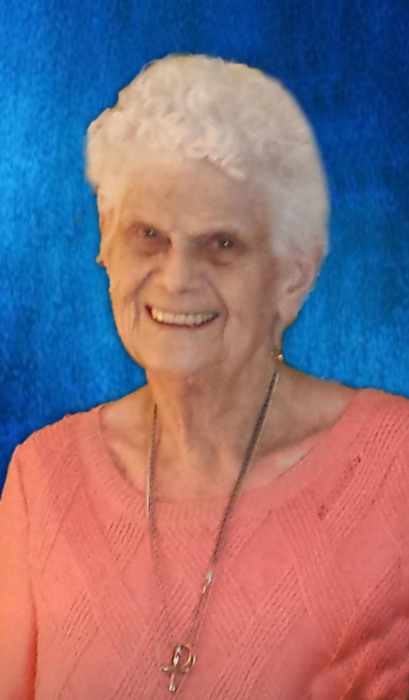 Doris Smith, 86, Sunrise Beach, MO formerly of the Moberly area, died Saturday, April 13, 2019 at Lakeside Meadows in Osage Beach, MO. She was born September 10, 1932 in Moberly to Thomas E. and Flossie (Bailey) Finnell. Doris married Robert A. Smith and he preceded her in death on August 23, 1998. Also preceding her in death were her parents, a daughter Tomia Flo Downs, a son, Robbie N. Smith, her step-mother, Edith Cross Finnell and her step- father, Paul Goe. Survivors include her son, Eddie Paul Smith of Kansas City, MO, a sister, Karin Willingham and her husband Charles of Centralia, grandchildren; Edie Jo Mohn, Eddie Paul Smith, II, James Smith, Heather Downs, Thomas Downs, Jesse Stuck and David Wiesner, 13 great-grandchildren, a niece, Pamela Reams, a nephew, Clay Thomas Elledge and his wife Angela, former daughter-in-law, Teri Jo Ames, son-in-law, Terry Downs, other relatives and friends. It has often been said that once you met Doris she would leave you with a smile on your face. Her life revolved around her kids, grandkids and great- grandkids. Words of comfort and support may be shared with the family at the visitation, which will be, Saturday, April 20, 2019, 10:00 a.m. to 12:00 p.m. at the Cater Funeral Home Chapel. Services honoring and celebrating Doris’s life will follow at 12:00 p.m. Committal prayers and burial will be in the Memorial Park Cemetery.